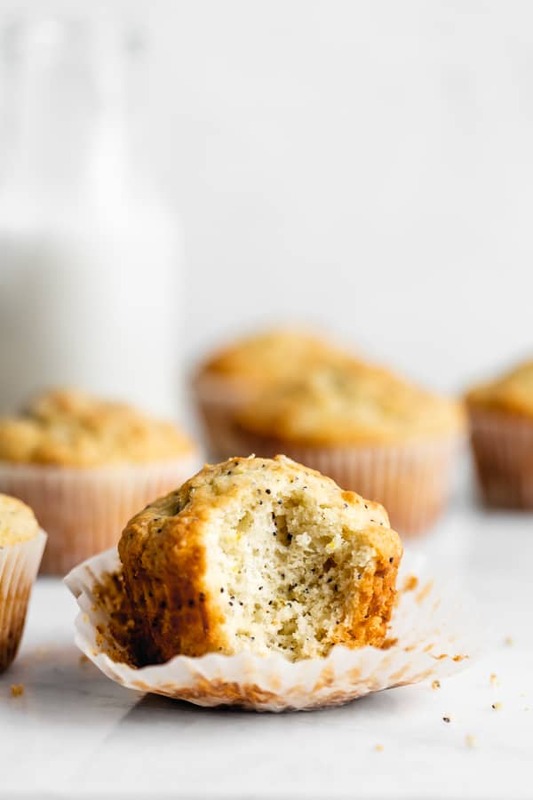 These healthy lemon poppy seed muffins are seriously the best! 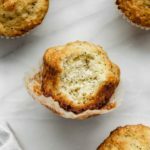 They’re made with simple ingredients and are bursting with lemon flavour for a muffin everyone will love! Can we just take a minute to appreciate how amazing this duo of lemon and poppy seed is? I don’t know about you but I’m a BIG FAN. 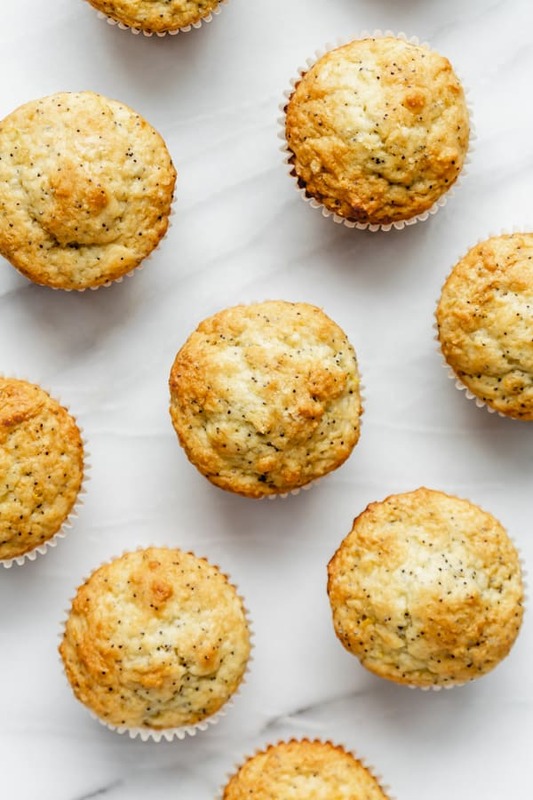 Especially when it comes to baked goods, my eyes light up whenever I hear the words…”lemon poppy seed.” So naturally I decided it would be the right move to stock my kitchen full of the best lemon poppy seed muffins. These muffins are crispy on top, soft and fluffy in the middle, slightly tangy from the greek yogurt and slightly tart and sweet all at the same time. Like hello muffin perfection! 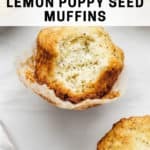 So what makes for the best lemon poppy seed muffins? 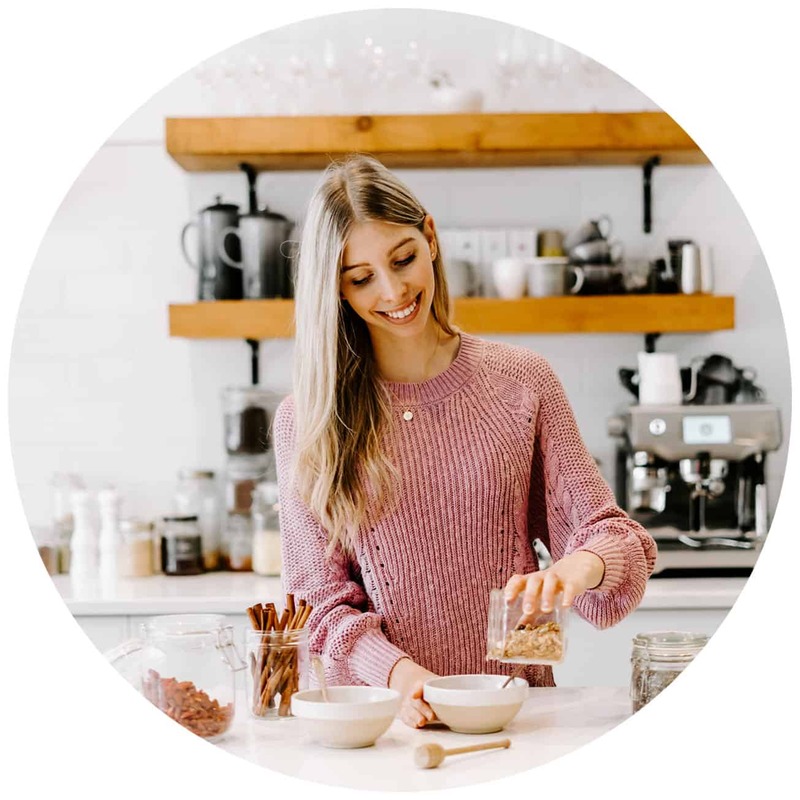 I love these muffins because their filled with fresh, light healthy ingredients. 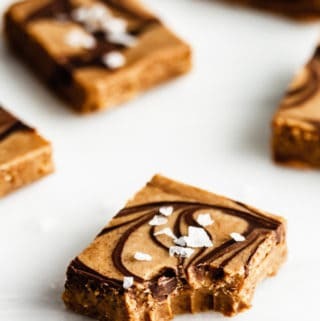 Which makes them perfect for breakfast, a snack or a dessert. Let’s take a closer look at what we’ve got going on in these muffins, shall we? PLENTY of lemon and poppy seeds! Congratulations you are now a muffin master! 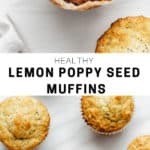 These healthy lemon poppy seed muffins are very versatile when it comes to ingredients. If you’d like to make them gluten-free, simply use a 1-1 gluten-free flour blend. If you’d like to make them dairy-free, use a plant-based yogurt (I like coconut yogurt) and coconut oil in place of the butter. 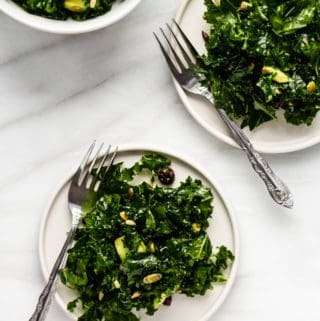 I haven’t tested out a vegan version of this recipe so I can’t say how they would turn out if you used a flax egg in place of the egg, but I imagine that they would turn out well! 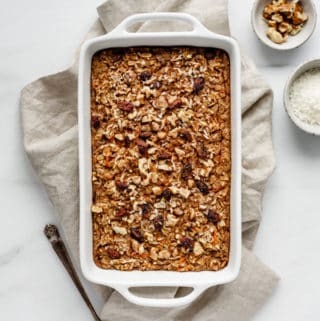 If you don’t have a muffin pan handy and would prefer to make this recipe into a loaf, you can use an 8×4 inch loaf pan and adjust the baking time to bake for 45-60 minutes. 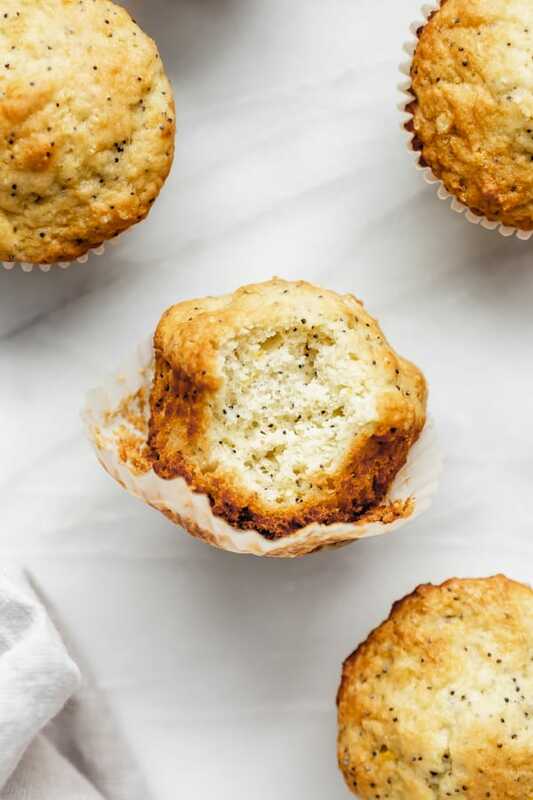 These bakery-style lemon poppy seed muffins are seriously just the BEST. 1/3 cup butter or coconut oil, melted and cooled. 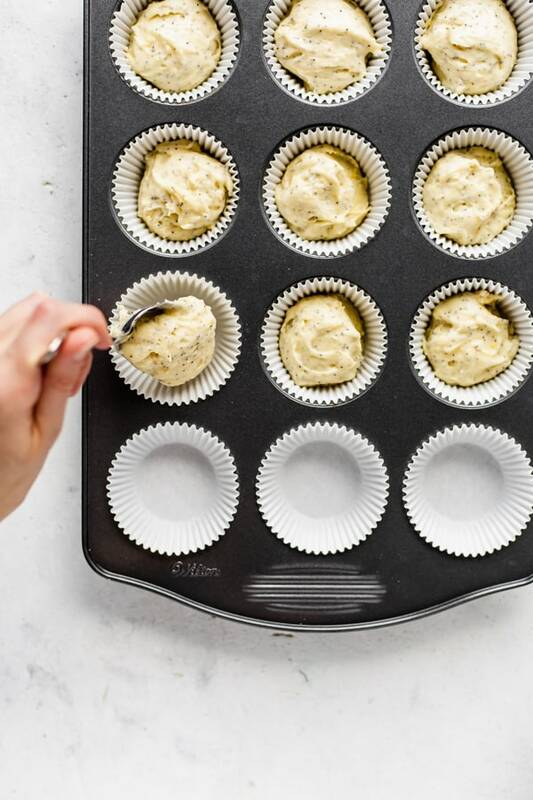 Preheat the oven to 400 degrees F and line a muffin pan. 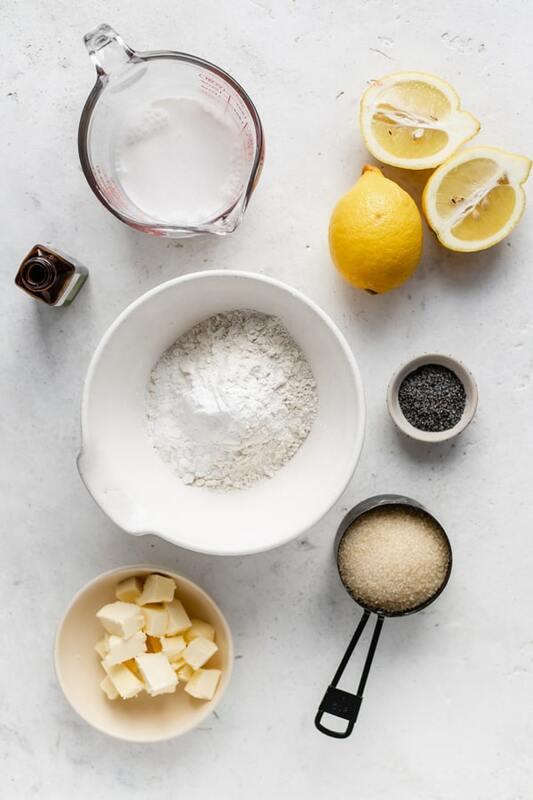 Mix all the dry ingredients together in a bowl. Mix all the wet ingredients together in a separate bowl. Pour the dry ingredients into the wet and mix until combined. Spoon the batter into the muffin pan filling 3/4 of the way full. Bake for 17-20 minutes or until a toothpick comes out clean. Some brands of yogurts may be thicker than others. If yours is very thick, add 2-3 tbsp of milk or water to your batter if it having trouble incorporating. This post contains affiliate links which means I will make a small commission if you purchase through those links. I only recommend products that I know, trust and love! The texture of these muffins looks PERFECT!! They’re so fluffy!